The floor and steps of your outdoor living space are in. Does it stop there? Do you just pack up and leave? Seize the opportunity to get it to the next level. Learn to upsell properly to provide homeowners with a feature-rich environment they will enjoy for years to come. You could almost imagine the homeowners coming outside after giving you that cheque and saying to themselves, "what do we do now?" While they're at it, why not pick up a little fire pit or chimnea? Roll out a grill and they've got the most disappointing hardscape investment ever! It’s time to talk about upselling. We need to stop looking at upselling as sleezy or adversarial. Until you mention all the features your client can add to their backyard, they don’t realize they might want it. Give them the opportunity to get the most out of their hardscape investment as you show them how beautiful everything looks together. Let’s take a look at a successful upselling example from the food industry. People are price-sensitive when it comes to a burger. They know what it costs, and they know what they are willing to pay. Profits are tighter because everyone knows what a burger cost. Are you offended when a McDonald’s employee offers you fries or a drink to go with your burger? Do you feel an upselling pressure? None of that. You’re probably thirsty and turns out you would love that drink! It doesn’t cost a lot for the company to produce those fries and drinks. But they sure sell a lot of them, just by proposing it! Be careful, they might offer you an apple pie too. Who is the number one distributor of apples in the world? Who is the number two distributor of candy bars in the world? Why? They make it accessible. Do you want to make small profits or big profits? Don’t sell for the sake of selling. Now, how can we apply upselling techniques in our industry? You already constructed a basic patio for them. Can you suggest fries and a drink with their burger? Definitely! Bring up a fire feature, a seat wall or a wood fired oven. I guarantee you won’t hurt their feelings. Remember that the easiest client to land is the one you already have. Gain big profits by getting as much as you can from the space you need to work with. 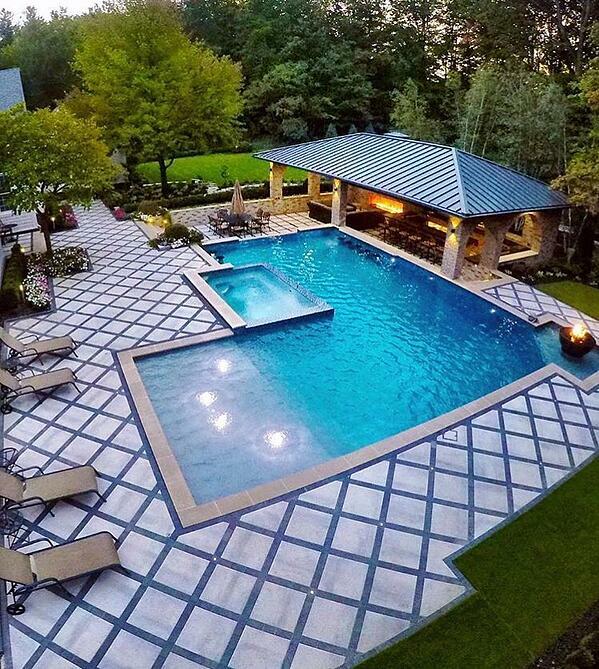 Your customer already has a pool in their backyard, or you constructed it for them while remodeling their outdoor living. A pool is just a hole in the ground full of water until there's something to do in it or around it. How many people have pools they don’t use? Every time they look at it, it reminds them of how useless their investment was. You can’t let this happen! Give them a place to reunite and exchange with each other right next to it. Provide them with a little escape from the everyday, away from the house and its distractions. It’s the picture you should paint. 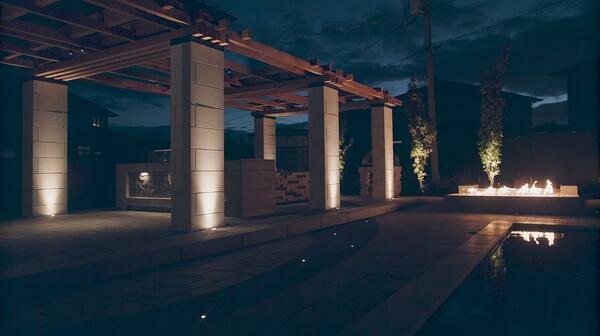 Cooking, fire and water features can easily go together. We constructed a bunch of them for our showcase project last summer. PROVIDE YOURSELF WITH EVERY INFORMATION YOU NEED TO BUILD OUTDOOR FEATURES WITH ALL OF OUR WALL PRODUCTS!